Rose water will help relieve digestion problems. Say goodbye to bloating, upset stomach, and constipation. It can be used as a mood enhancer to relieve stress and help with depression. Helping you feel more relaxed and less frazzled. Rose water has anti-aging properties to help reduce wrinkles, lighten dark spots, and tighten pores. It will hydrate your body from the inside out leaving your skin feeling plump and healthy. Use rose water as an anti-inflammatory and an anti-bacterial or to help heal from colds, flu, and sore throats. Simply add 3-4 tbs to your water, juice, or smoothie for better health. I put it in my water daily instead of lemon and I love the way it tastes and how it makes me feel. I purchase mine locally, but check out the rose water we carry in the shop and get some today! 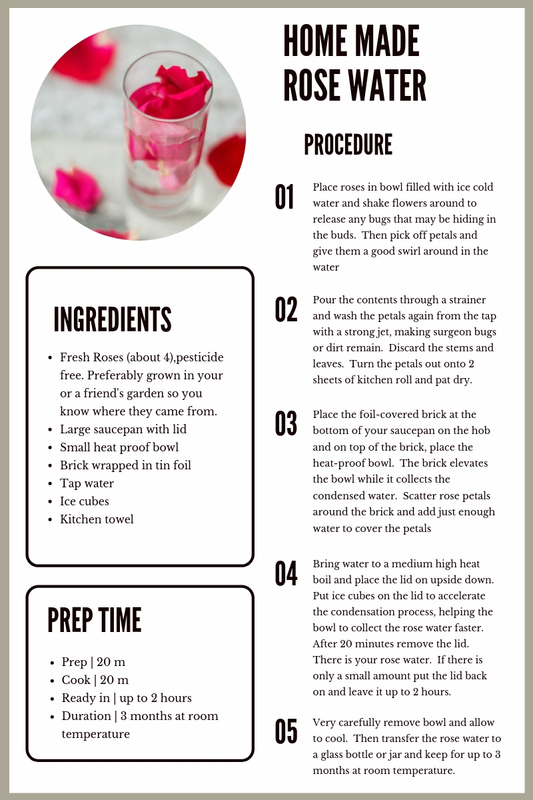 Or make your own homemade rose water with my favorite Homemade Rose Water recipe. Want more tips for staying healthy in midlife? Read my 5 Simple Ways To Stay Healthy In Midlife and The 7 Benefits of CBD Oil.